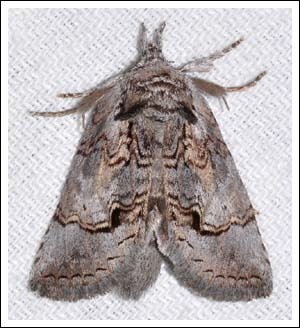 The subfamily Notodontinae has a larger number of genera than the Thaumetopoeinae, larvae of this group are not hairy but can come in a variety of strange shapes. Seven species have come to the light locally. the most common being the Two-coloured Notodontid, Sorama bicolor. 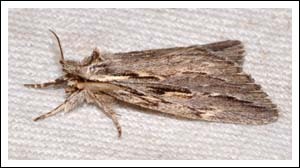 Also relatively common is the Streaked Notodontid, Destolmia lineata, this is a variable moth and more than one species may be involved. (MOV2). 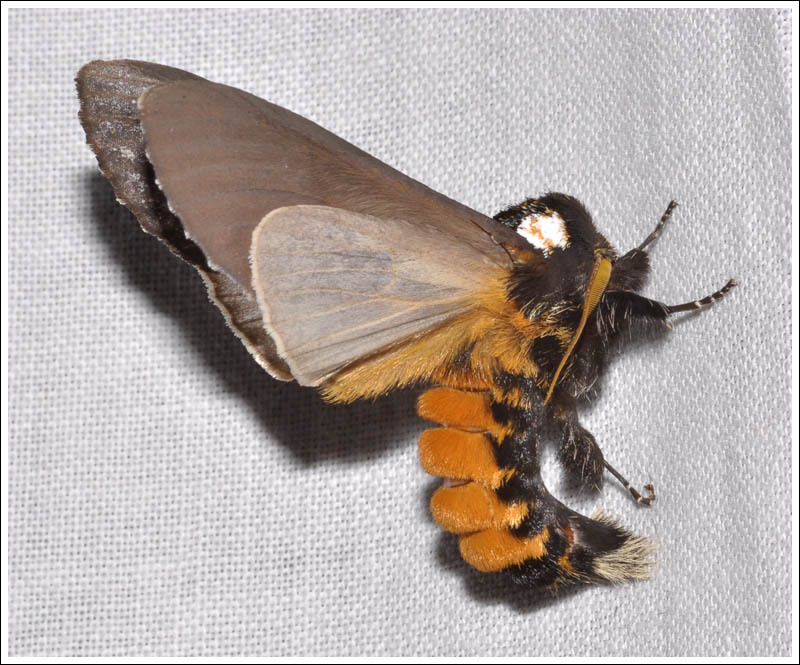 The larvae of both these species feed on eucalypts. 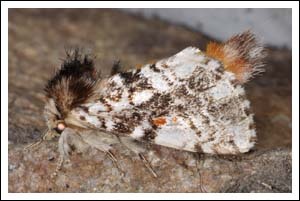 The Patterned Gallaba, Gallaba eugraphes is a most attractive moth and always a delight to see at the sheet, it flies from October to April. 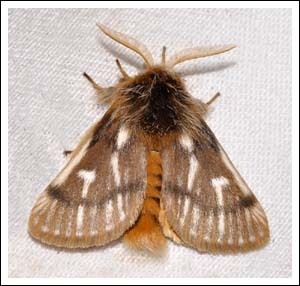 Both the male and female have pectinate antennae, with the male’s much broader. 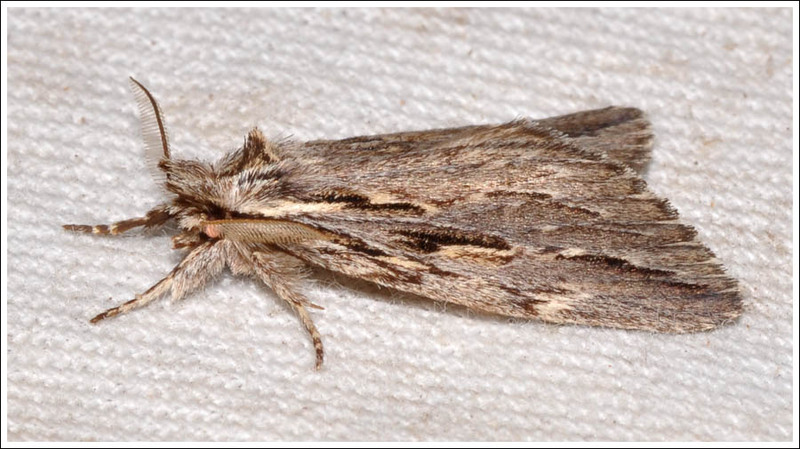 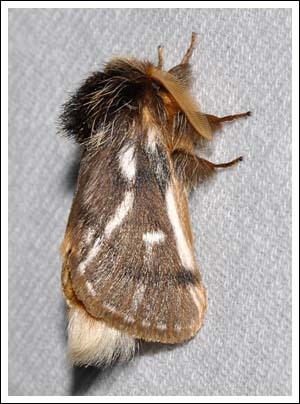 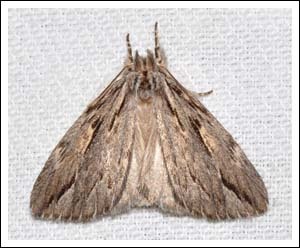 The Eastern Notodontid, Ecnomodes sagittaria is a moth that is distinguished from Ecnomodes sp(1), (MOV2), by the breadth of its antennae. 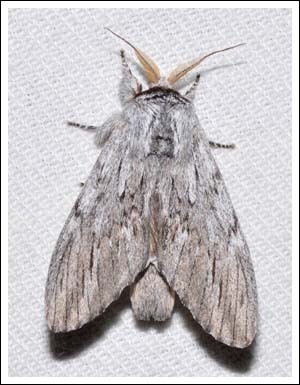 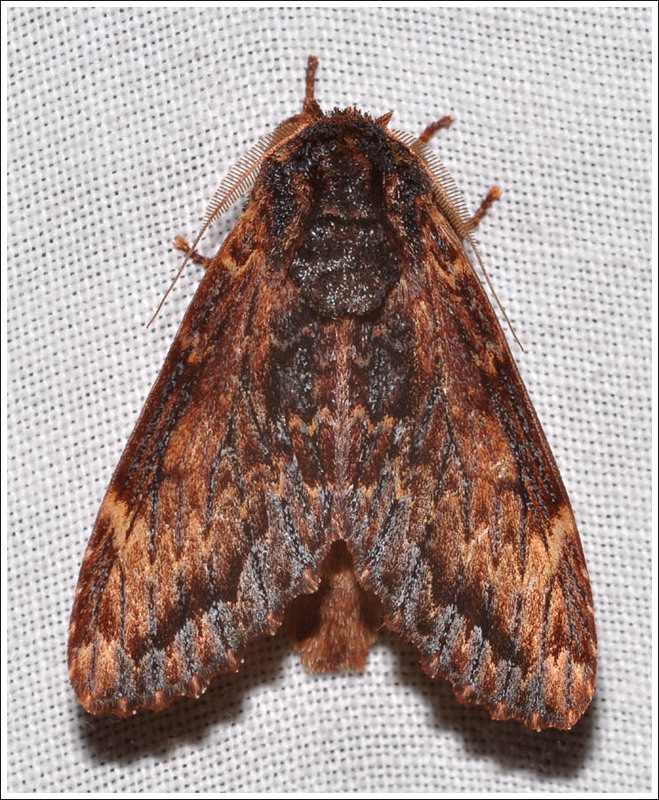 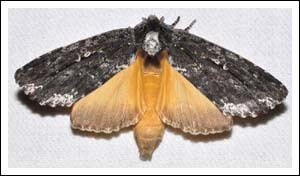 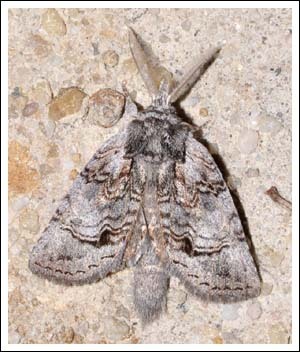 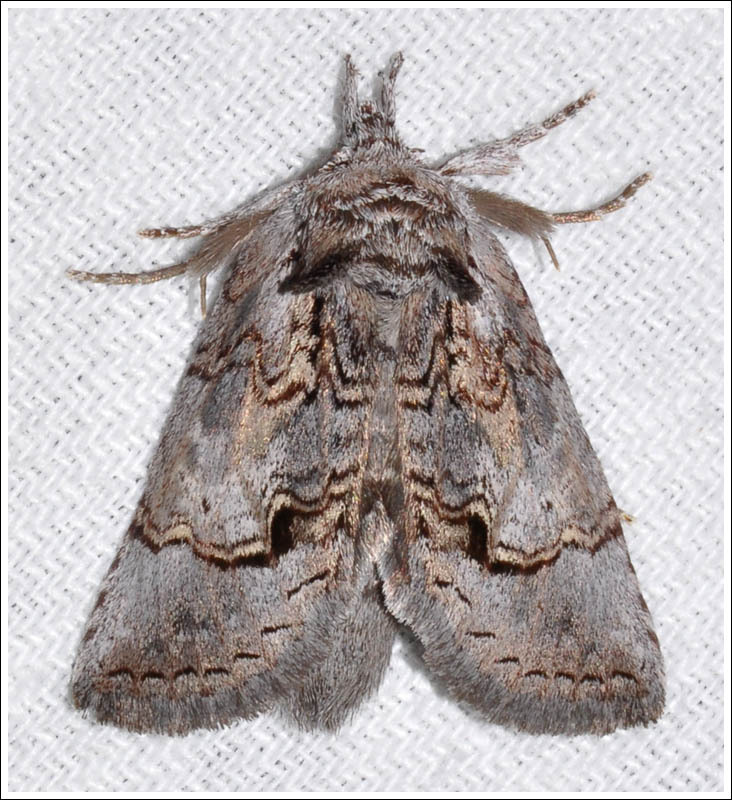 Male and female moths came to the light at Valencia Creek East in September 2015. 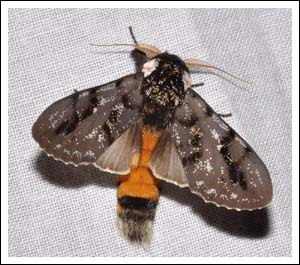 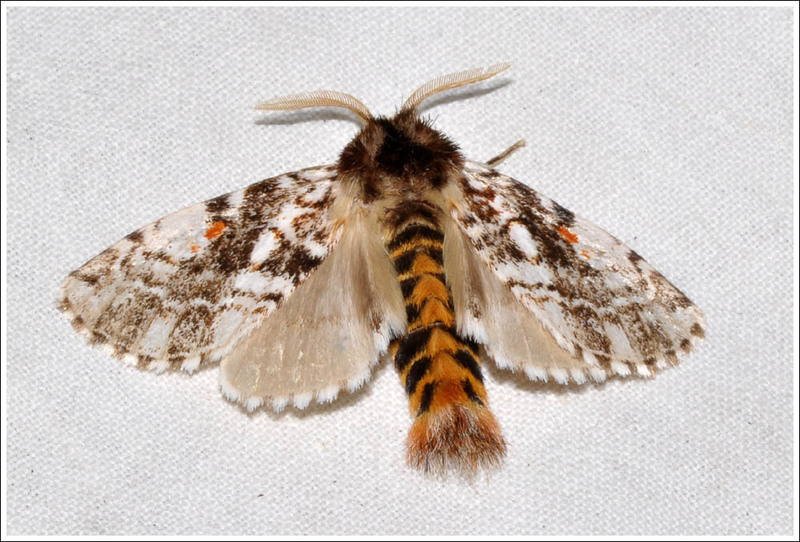 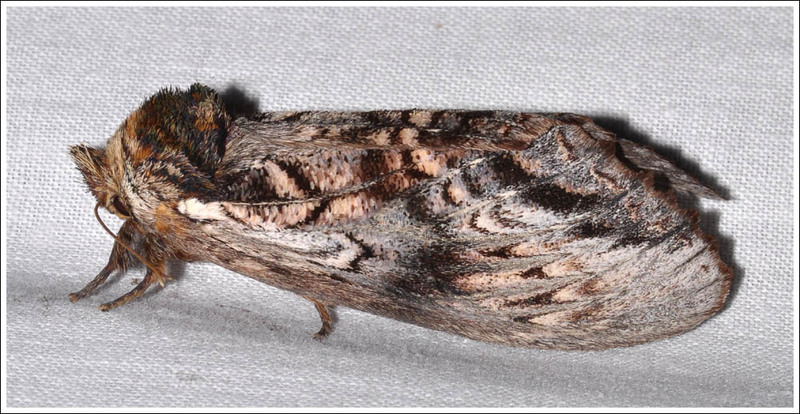 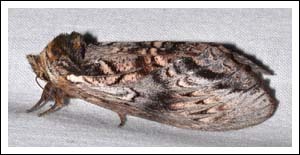 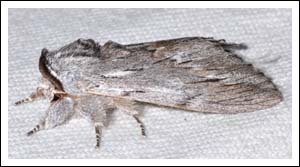 Psalidostetha banksiae, the Banksia Moth is quite beautiful, and has the habit of feigning death if handled. 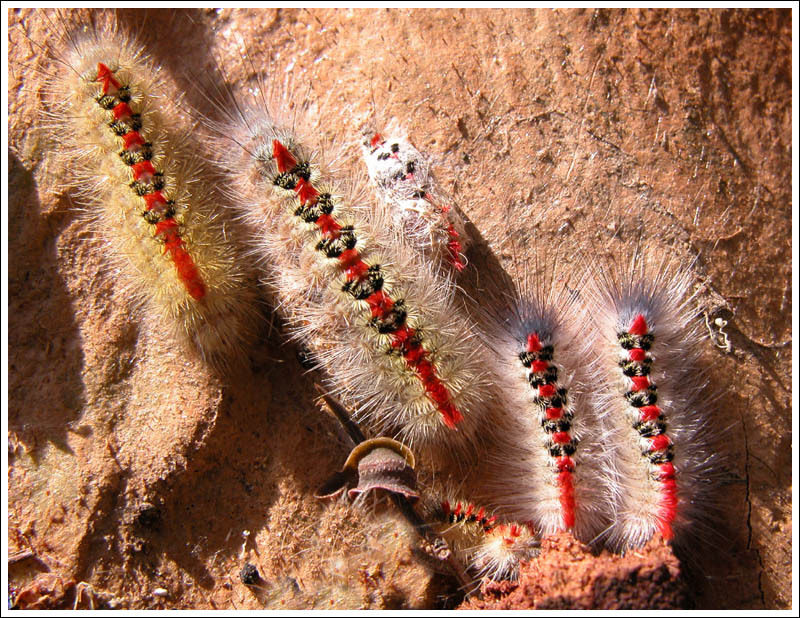 The larval food plants come from the Proteaceae family, Banksias, Hakeas, and Grevilleas for example. 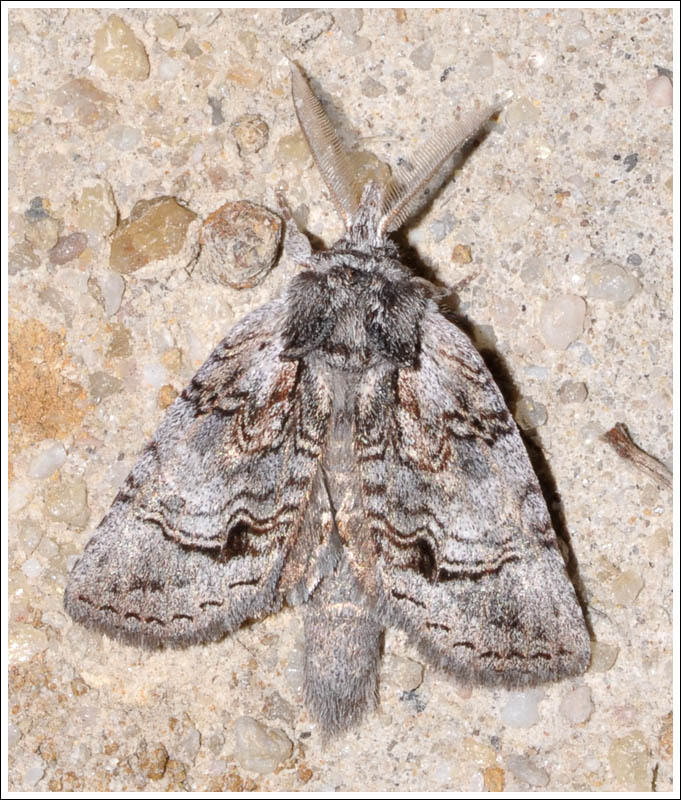 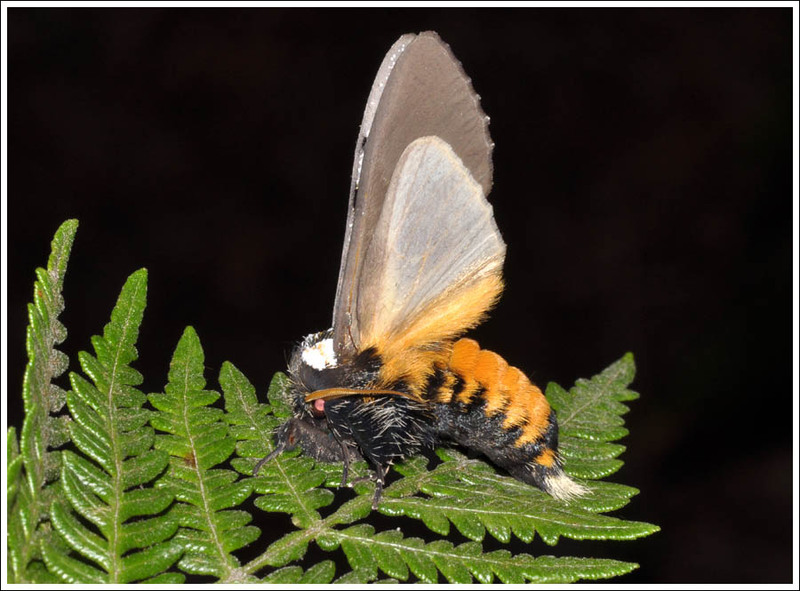 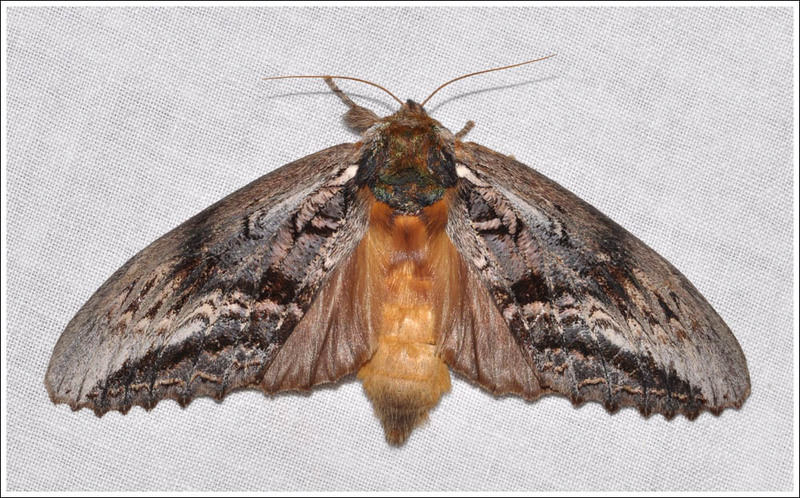 This moth was photographed in May 2013 at the Giffard Flora Reserve where there is plenty of Banksia serrata. 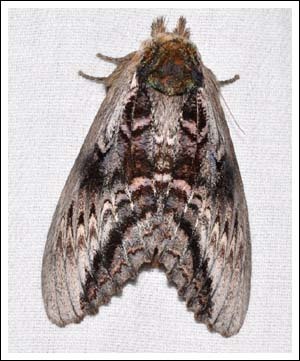 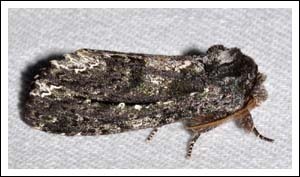 The Gum Rough-head, Hylaeora eucalypti flies mainly in autumn, it is an impressive moth and several came to the light in tall forest in the foothills in April 2012. the common name is very apparent in the first image, females all. The attractive larvae feed on eucalypt foliage. The final moth in this group is the Golden Notodontid, Neola semiaurata, named for obvious reasons. In January of this year several came to the light in box/ironbark country at Glenmaggie. 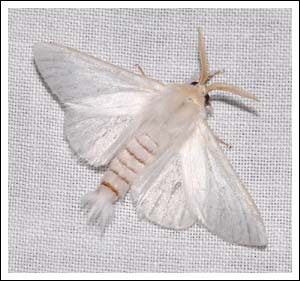 The larvae of this moth feed on a variety of plants. Posted on June 27, 2016 July 18, 2018 by PholodesPosted in Notodontidae, Moths. This family has two subfamilies, Thaumetopoeinae, and Notodontinae. 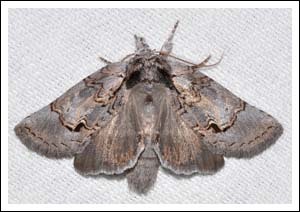 the Epicomas recently featured belong to the former family and this post will cover the remaining members photographed locally. 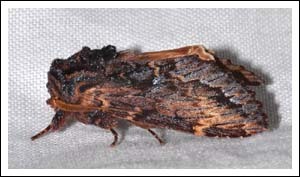 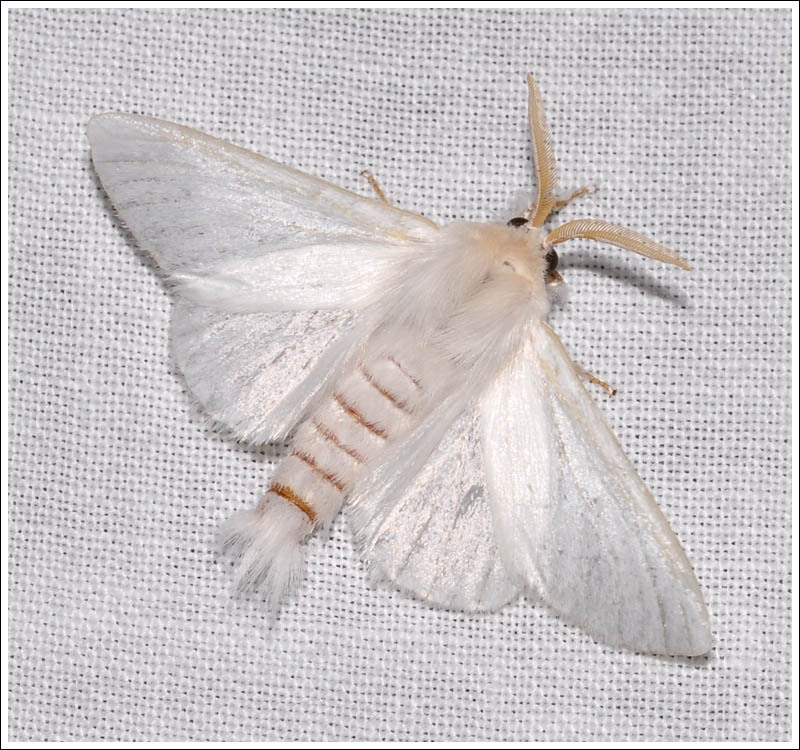 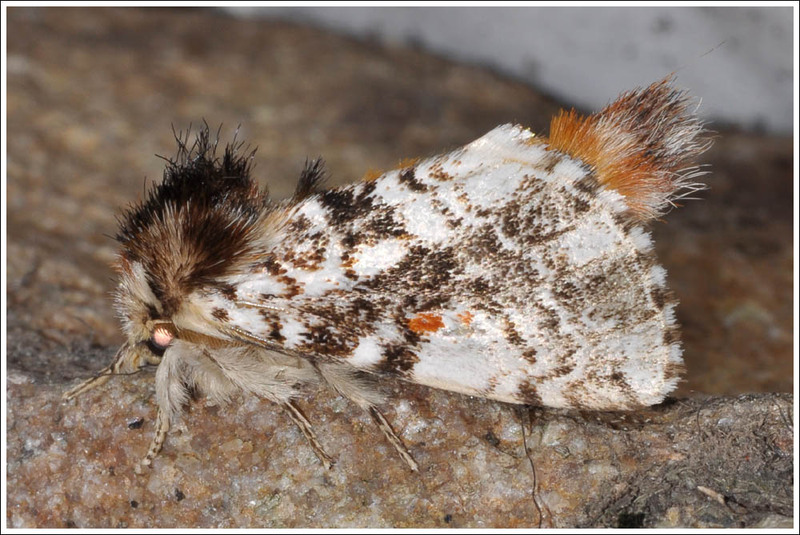 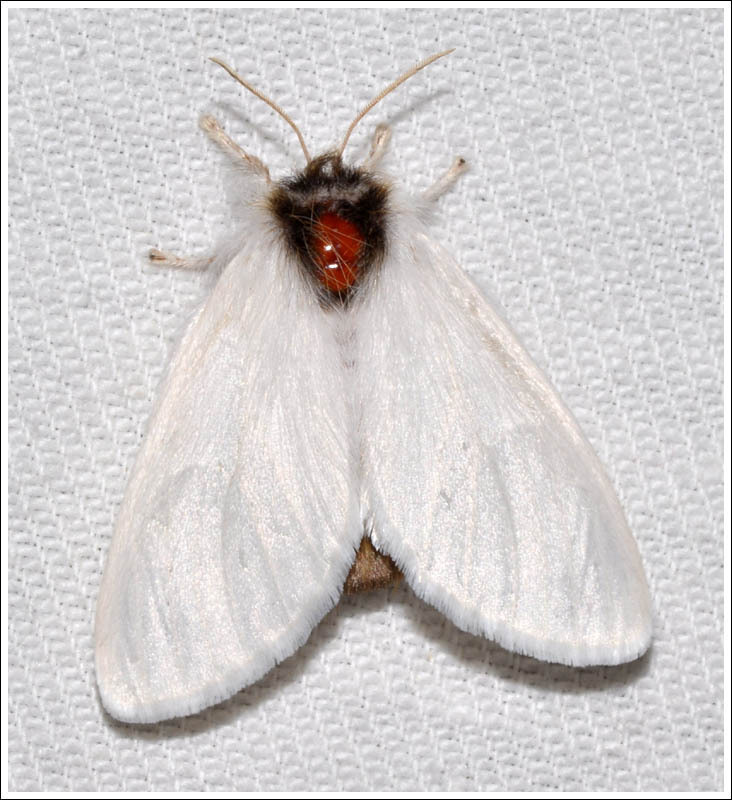 The larvae of the Thaumetopoeinae moths are very hairy, and contact with the hairs can cause severe skin rashes, and in the case of the Processionary Moth, Ochrogaster lunifer, have been known to cause a very serious case of paediatric osteomyelitis. 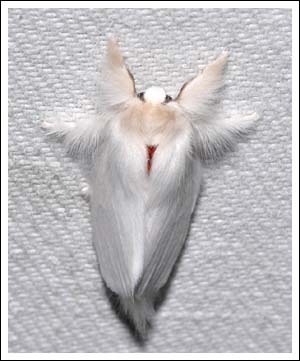 The toxic filaments in that case came from not from a larva but from an adult moth, so be warned! 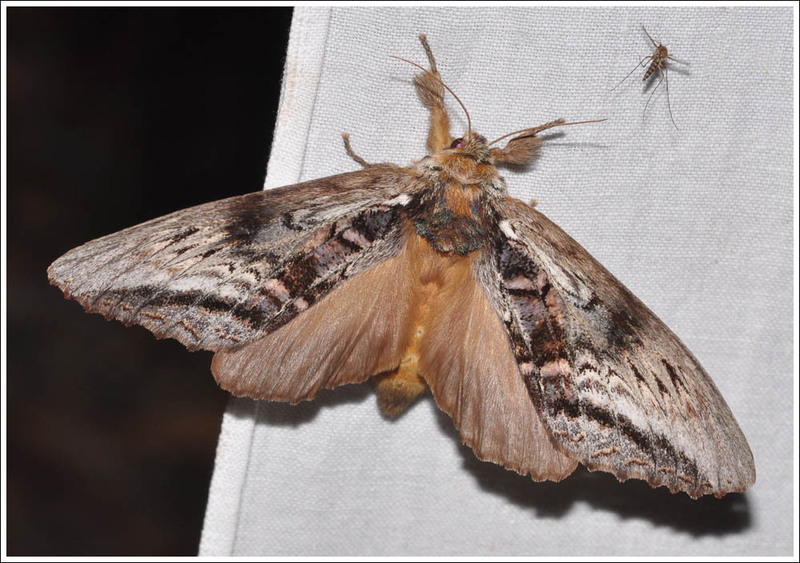 Sparshall’s Moth, Trichiocercus sparshalli has spectacular larvae, this was an early photograph of some that were sheltering behind a flake of bark, they are eucalypt grazers. 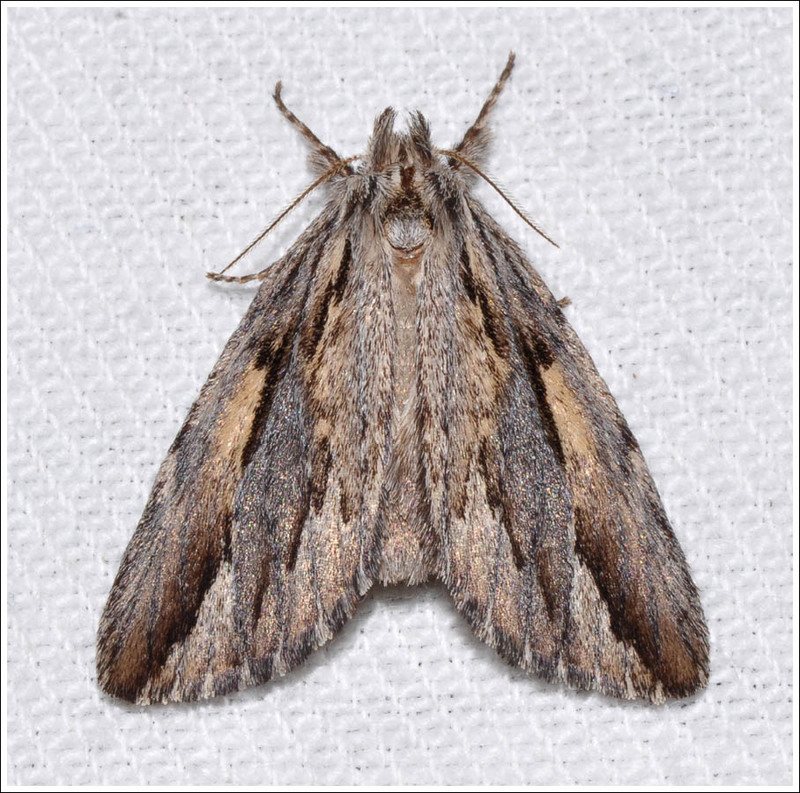 The adult moths are quite plain although the male is showy. 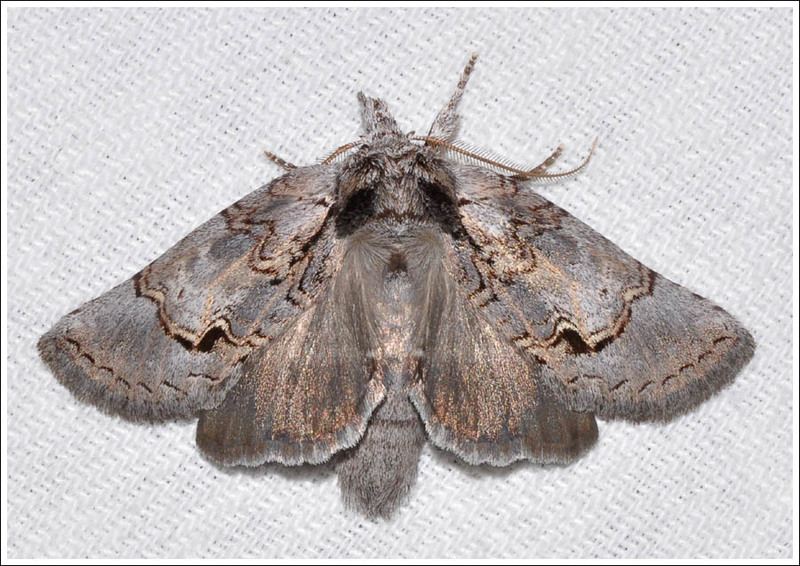 The Patterned Notodontid, Aglaosoma variegata is by way of contrast quite beautiful. 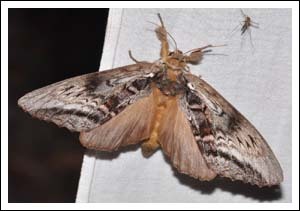 These are both males, with one flying up the sheet showing the hind wings and colourful body. 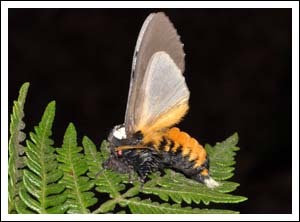 The larvae are known to feed on acacia and banksia species. And now the Processionary Moth, Ochrogaster lunifer. 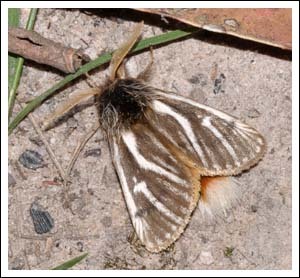 The genus Ochrogaster is believed to contain a number of species throughout Australia, the Victorian specimens are at present included under the species name lunifer. 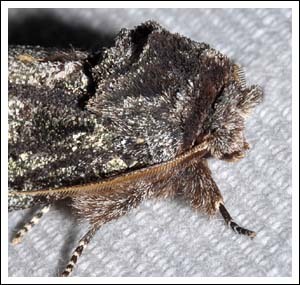 (MOV 2) It is variable in colour and pattern but the ones photographed locally all conform to the same general appearance. 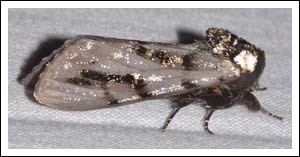 Larval food plants include acacias. 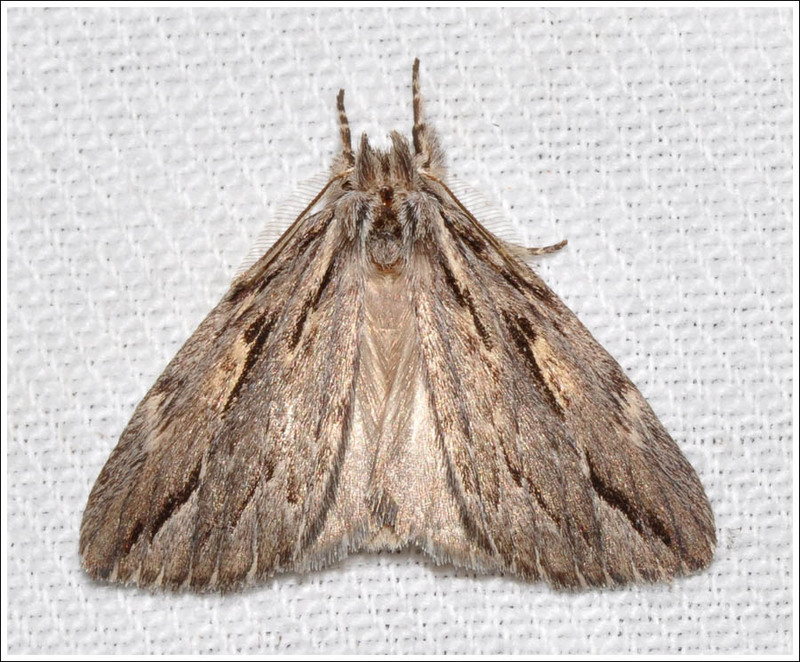 The next post will feature local moths in the subfamily Notodontinae. A Field Guide to Australian Moths. 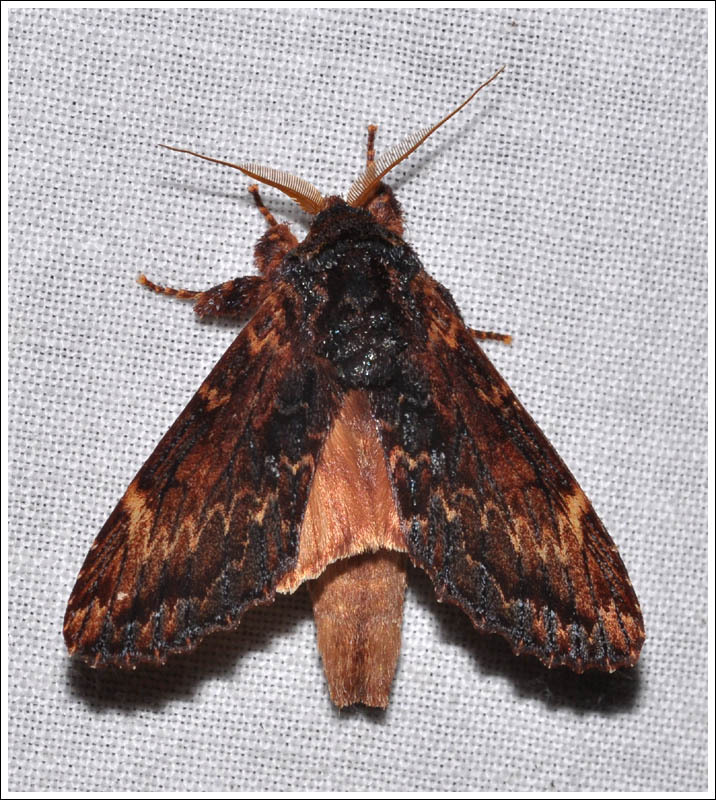 Posted on June 22, 2016 July 18, 2018 by PholodesPosted in Notodontidae, Moths.